Peter Thiel reportedly told friends Trump administration is "incompetent"
Silicon Valley investor and early Trump supporter Peter Thiel has walked back his support of the president in private conversations, reportedly telling friends that Trump's administration is "incompetent" and that there's "a 50% chance this whole thing ends in a disaster," Buzzfeed News reports. 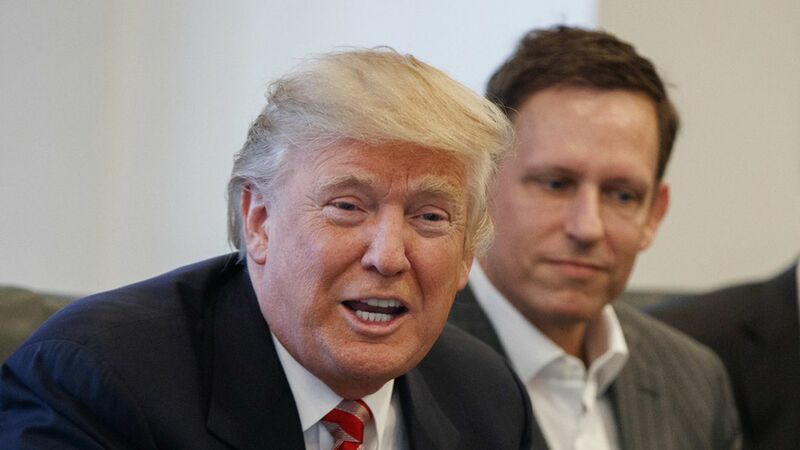 Thiel gave a well-received speech at the Republican National Convention last year and served on the Trump transition team as a science and technology adviser. Thiel's statement in response, which doesn't include a denial: "The night he won the election, I said President Trump would face an awesomely difficult task. Today it's clear that resistance to change in Washington, D.C. has been ever fiercer than I anticipated. We still need change. I support President Trump in his ongoing fight to achieve it."